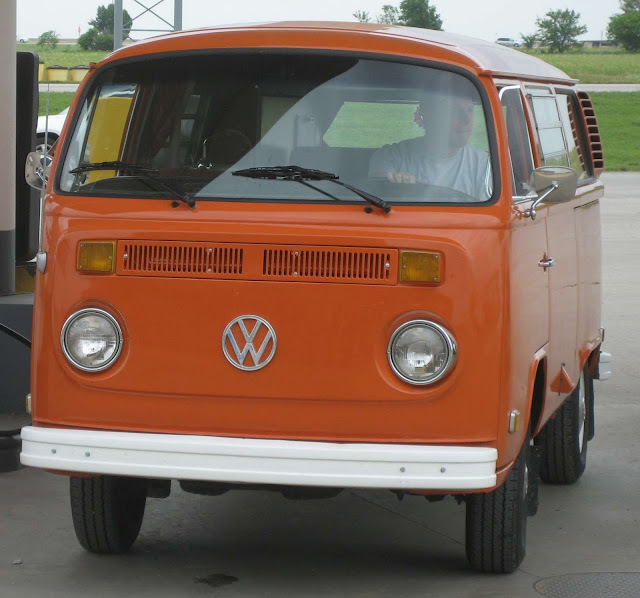 We flew down to Tulsa last summer to pick up this adorable orange 1973 Volkswagen camper van... and slowly chugged back up north to Toronto. Last month we said goodbye to our beautiful girl (we'd named her Utta). It was sad to say goodbye, but as sweet as Utta was, she just wasn't built for the long hauls. Before saying our final goodbyes, we replaced her with a 95VW camper we've named Bernie. I whipped up some cute curtains to "soften" his edges (and give us some privacy). Then, we packed Bernie with supplies and departed on a 16 day road trip from Toronto to Montreal, New Brunswick, Nova Scotia, Maine, Massachusetts, Rhode Island, Connecticut, New York and home. 8 of the 16 days were spent living in the van. This is the kind of adventure that really tests ones gluten-free life skills. On a trip of this nature, where you don't know where you'll be sleeping the next night, or what kind of amenities lay ahead... it's a good plan to have some "go to" items on hand. There are loads of ways to do this... but I'm going to use this one trip as a simple real life example of how we did it this time. We might have eaten other foods if it wasn't so hot out - most of these were refreshing foods that made great "stop and snack" meals (ie: cheese, crackers, apple slices, grapes). In some places where we camped out there was no running water - just what we had in the jug we brought. Travel wipes kept me sane. Did I mention that I am not in the least bit outdoorsy? In the morning we'd make espresso and tea on the stove in our little van and then take the lid off of an individual yogurt cup and sprinkle berries on top. If I was really hungry I'd add one of the breakfast bars I'd packed... but I tried to save those for emergencies. You will note that there was no gluten-free bread packed. I have rules about the bread which I'll get into on a future post - as well as more to say about rice cakes! Convenience is key. Take the lid off a box of salad, chop some tomatoes, olives, tuna and/or feta into it...pour on olive oil, close the lid, shake... serve with crackers and humous... and ta-da! You have a complete meal. You can even eat directly from the box with a fork. Adding a glass of wine elevates any meal. Replace the salad box with a can of rinsed chickpeas or other beans for variety and a heavier feed. It's amazing the combos you can come up with in a bowl with just the ingredients listed above. The goal was to avoid road food (yucky and rarely gluten-free) and eat as much fresh fruits and vegetables as possible. When we stayed in bigger cities (Portland, Boston, NYC) we treated ourselves to some lovely meals out and filled up on meat and fish. I am working on a list of amazing places to eat on the road... which I'll share it in a future post.